A 29-year-old Tyrone man has been returned for trial for the manslaughter of a mum-of-two who died in a road accident over two and a half years ago. Jonathan William Thomas Ferguson of Elm Park, Moneymore appeared at Dungannon Magistrates Court on Friday. He is accused of the unlawful killing on April 12, 2015 of Marie Bernadette McNicholl, the mother of a grown-up son and daughter. 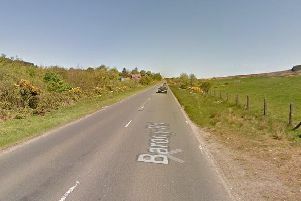 Mrs McNicholl was a passenger in a car which struck a tree on Moneymore Road, Cookstown. Ferguson spoke only to confirmed his identity and to agree to the hearing. He also chose not to give evidence on his own behalf or call witnesses at this stage. District Judge John Meehan said Ferguson had a case to answer before freeing him on £200 bail to appear for arraignment at Dungannon Crown Court next month.